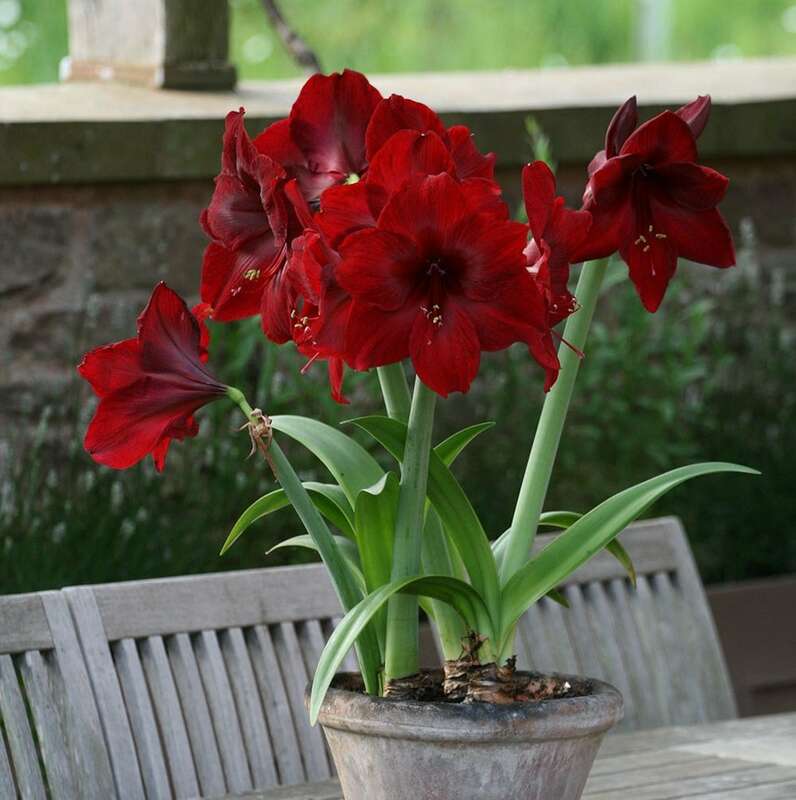 A stunning amaryllis with deep velvety, dark maroon flowers with darker centres. An easy-to-grow indoor plant that will produce at least two stems of large flowers and will come back year after year. It also makes a wonderful gift too.